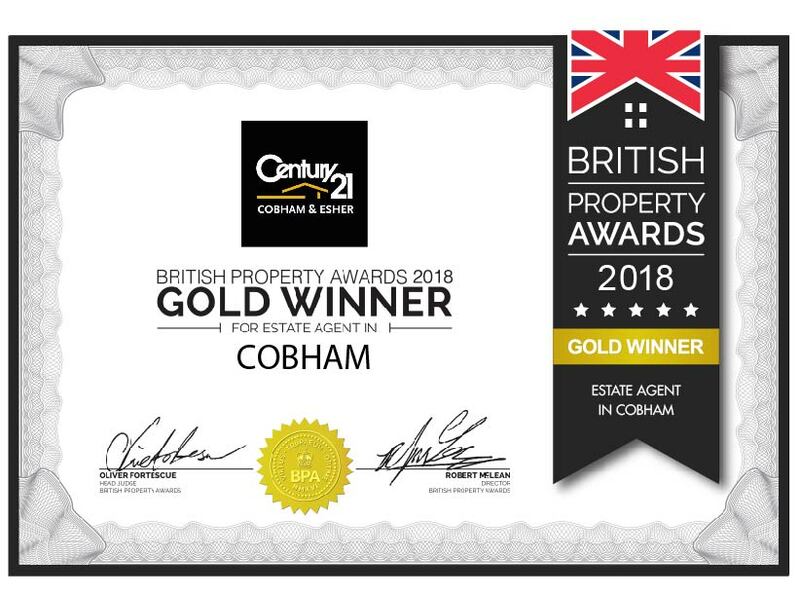 The Cobham and Esher franchise of CENTURY 21 UK has been voted as the Best Estate Agent in town at the British Property Awards after impressing the judging panel in a series of mystery shopping visits. Dylan Mollison-Cousen, owner of the branch which is based on 15 Between Streets, Cobham commented: “I am really proud of the results and customer service my team and I have delivered over the last six months. It’s great to see that our approach has been officially recognised by one of the most prestigious awards the industry has to offer.